“Suitable for the entire family, this season promises to be a sensational one with something for everyone: music, dance, drama, Shakespeare and children’s theatre,” Joe Potter, artistic director of theatre, said. “We hope that families and theatre-goers alike will find time in their busy schedules to come to the theatre and share together in the excitement, entertainment and fun of live theatre! “Our Hats off to You, a Performing Arts Extravaganza” will be scripted by WWU faculty and performed at 7:30 p.m. Sept. 29-Oct. 1 and at 2 p.m. Oct. 1 in Cutlip Auditorium. It will feature music, theatre, dance and scene work from Broadway and beyond. “A Midsummer Night’s Dream,” a comedy by William Shakespeare will be performed at 7:30 p.m. Dec. 1-3 and at 2 p.m. Dec. 3 in Dulany Auditorium. The play is one of Shakespeare’s most popular works for the stage and is widely performed across the world. 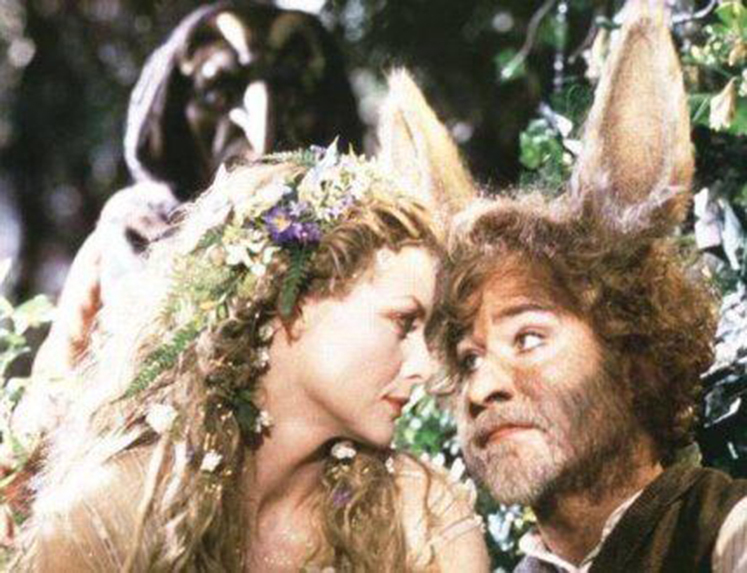 The play consists of four interconnecting plots, connected by a celebration of the wedding of Duke Theseus of Athens and the Amazon queen, Hippolyta, which is set simultaneously in the woodland and in the realm of Fairyland, under the light of the moon. 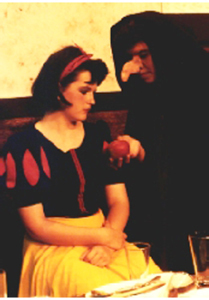 Snow White is offered a poison apple. “Snow White and the Seven Dwarfs” by Jessie Braham White, based on the fairytale by the brothers Grimm, will be performed at 7:30 p.m. Feb. 23-25 and at 2 p.m. Feb. 25 in Dulany Auditorium. Supposedly disposed of by the wicked queen, Snow White finds her way to a happy glen and the home of seven friendly dwarfs. A deadly apple casts her into a deep sleep, from which she is revived in time by her devoted prince. 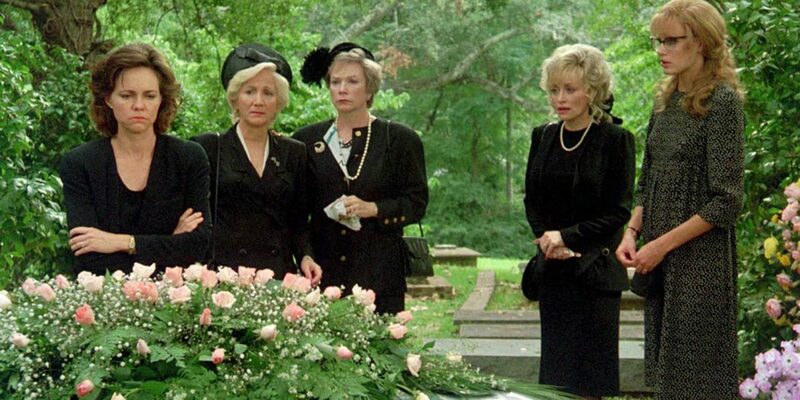 “Steel Magnolias” by Robert Harling will be performed at 7:30 p.m. April 27-29 and at 2 p.m. April 29 in Cutlip Auditorium. The play, for mature audiences only, is about the bond a group of women share in a small-town southern community, and how they cope with the death of one of their own. William Woods University’s theatre department will present the play “Steel Magnolias” in April. 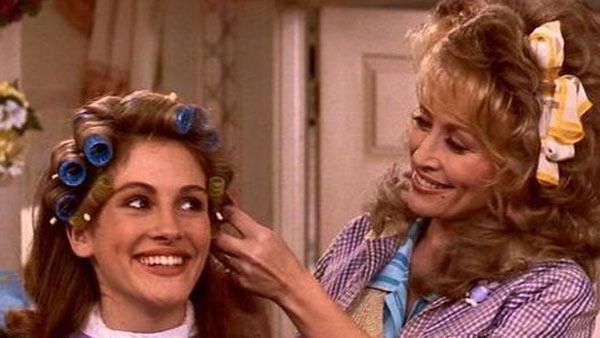 The film version starred many Hollywood favorites, including Julia Roberts (left) and Dolly Parton. Season tickets are available through the final performance of Our Hats Off to You Oct. 1. Season tickets offer several benefits: a 20 percent savings on regular ticket prices, preferred seating and no standing in long lines at the box office. Season ticket prices are $30 for adults, $20 for senior citizens ages 62 and above and $15 for children ages 6-12. An education discount applies to patrons with a current student/faculty/staff identification for any educational institution, making a season ticket $20. General admission tickets for single performances are $10 each for adults and $5 each for kids. Group rates are available for 10 or more. For more information, or to order season tickets, call the William Woods University Theatre Department at 592-4281.